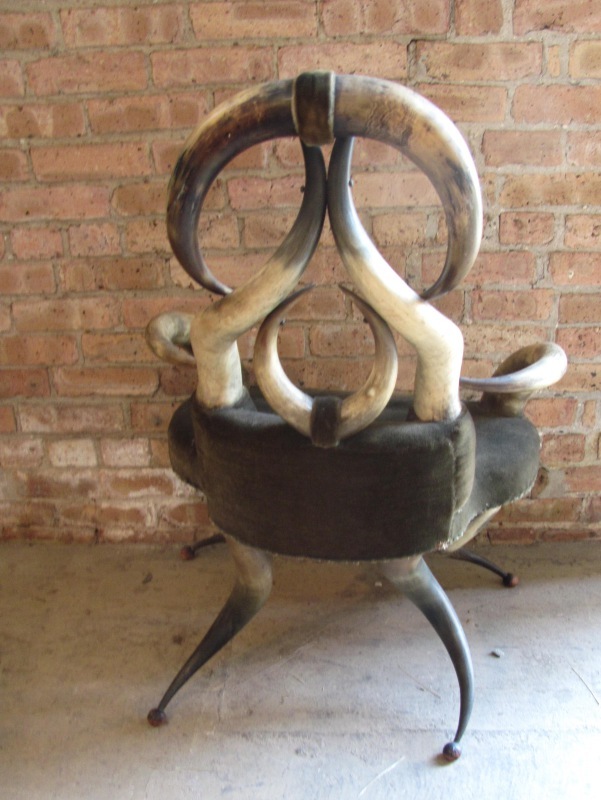 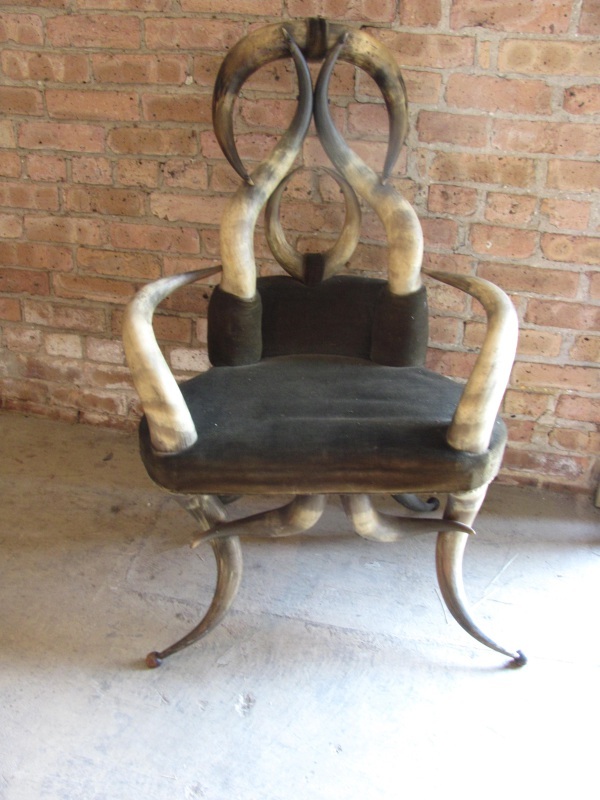 A late 19th century American ladies chair constructed from the horns of Texas longhorn steers. 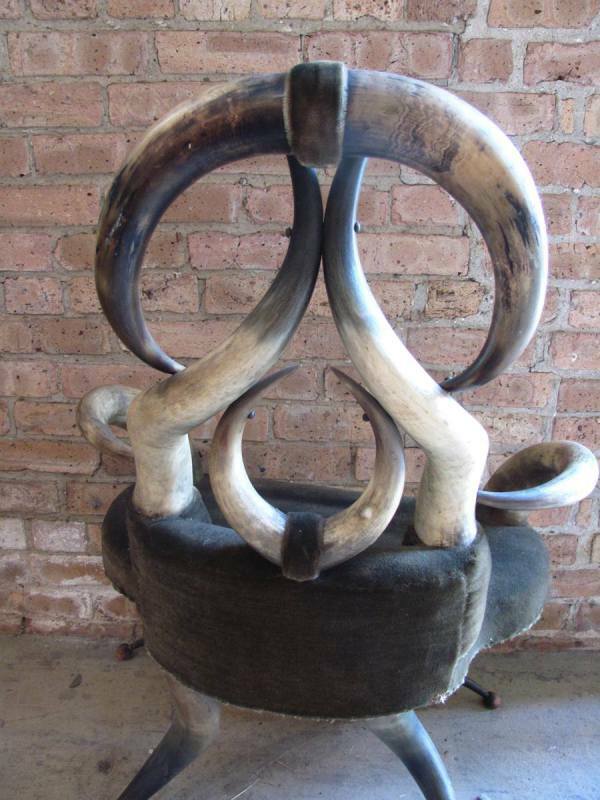 From about 1860 through the end of the 19th century Texas longhorn cattle were herded from Texas to the rail yards of the great plains. 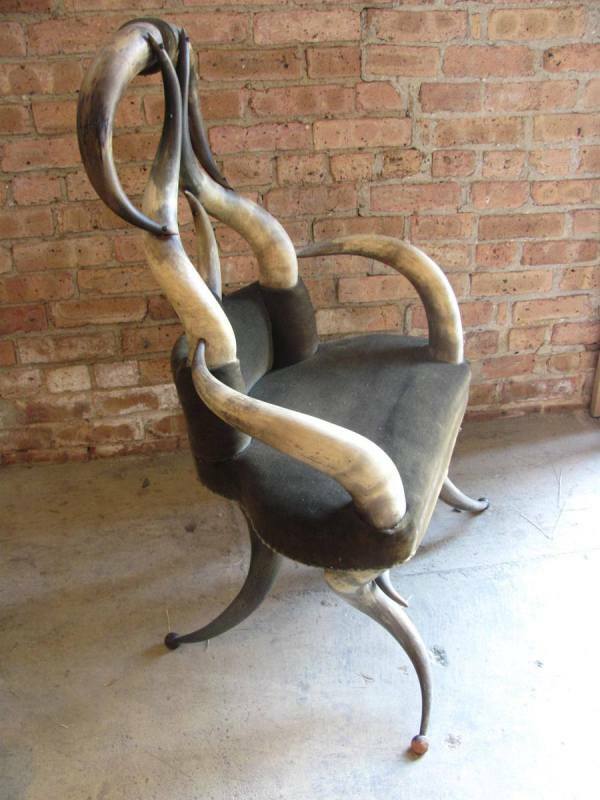 Following the European style of fashioning furniture out of antlers Wenzel Fridrich, a Bohemian immigrant to Texas, adapted the cattle horns into a variety of furniture styles, a form which became popular both in America and Europe.